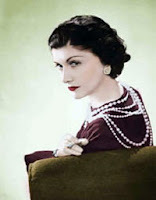 Yes, the iconic CoCo Chanel and her pearls! If you were to adorn yourself today to reflect your heart, what would YOU wear? Peace, Love and Happy Adornment!